You must be a member of the Abu Dhabi Arabic Group to attend this activity. Would you like to join this group? 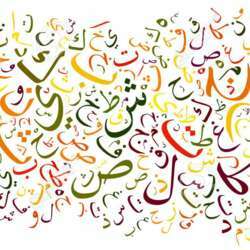 Let us continue learning Arabic! New joiners are welcome! I'm looking forward to meeting you all next week. This activity will focus on learning basic Arabic words, handy phrases and the numbers. We kindly ask to make an order or at least a drink. P.S. please when you reach Protected content ask for InterNations group and they will direct you. It will be located in the 1st floor.